now its even easier because you can now book online,track your cargo and courier online,pay for bus fares,and also easily locate their all their bus terminals in Nigeria online. I have been traveling with ABC Transport for many years and I can comfortably tell you that it is the safest transport company in Nigeria,they also have branches in other west african countries. After over 20 years in Nigerian transport business, ABC Transport has also developed its courier and haulage services,apart from being conveyed safely to your location,you can also safely waybill or cargo your goods to your prefared destination across africa and west africa. Q1: How do I book for ABC ticket online? You can easily book your ABC transport ticket online using ABC's responsive website. Before you book your ABC ticket,make sure you have the following by your side. Choose a seat by clicking on any of your choice seat available. You have successfully booked and paid for your ABC Transport ticket online. Q2: How do I track my ABC Transport cargo,courier online? A: Access https://abccargoxpress.com/ to track your cargo online. Q3: List all of ABC Bus parks/terminals,Complaint Numbers,Emails and Contacts in Nigeria and West Africa? By Festac BypassAmuwo-Odofin, Lagos State. Lagos Airport Hotel, Ikeja, Lagos State. Benin Transit Terminal, Edo State. Tel: 01-7911365, 8793078, 8793070, 0703-8570556. 2, Simbiat Abiola Way, Opp. Special Cargo Centre, Fadeyi, Lagos. 9th Mile Corner, Ngwo, Enugu State. Itam, Uyo – Akwa Ibom State. 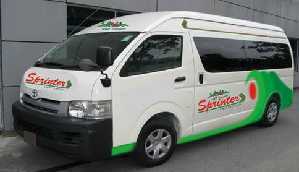 Q4: How much is Abc transport bus fares across Nigerian cities and Africa.